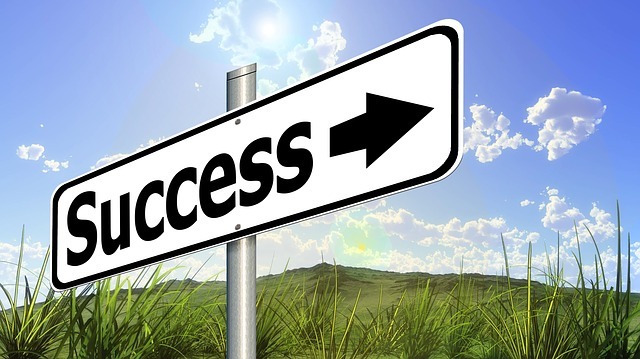 Redefining success allows us to see that true success is not about your circumstances. It is not about what you have or do not have. It is not about what you have or have not experienced either. True success is about who you are. If you are like me, it is very difficult to detach success from what you have achieved in life though. It is easy to see it as the career I’ve built or the bank account I’ve accumulated. Such a view of success is weak. I am not saying that success doesn’t involve money, or careers or achievement at all. To focus on those things in defining success though, is too shallow to lead us to the best life. I have known men who have achieved much in their careers, and men who have accumulated huge bank accounts, but they have totally failed at what they always said mattered most to them. I remember one day a few years ago, sitting around a table where four out of the seven guys there were earning seven figures a year, and of those four, only one hadn’t divorced in the last two years. They had performed extraordinarily financially, but had completely failed their families. And yet every one of them would have claimed that their families mattered more than money. Is that what success looks like? When you lose the relationship with your family, all of a sudden the excuse that you are doing it all for them gets ripped away, and the truth of your own insecurities is all that is left. Chasing success is like chasing a mirage. If we chase money, we will never have enough. If we chase power, we lose authority. If we chase recognition, we become unknown. If we chase fame, we become forgettable. It is the irony of life. Some things simply don’t possess the substance to be worshipped. They are too temporal to be worth chasing. Until a few years ago, I would never have thought of contentment when I thought of success. Perhaps the connection was not obvious to me because my definitions for both, success and contentment, were influenced by the definitions our culture has given them. But now I can’t separate the two. Paulo Coelho says success “is being able to go to bed each night with your soul at peace.” To have is to be grateful for it. So chasing success is ironic. Success is something you get when you stop and get grateful. That is success. Success is about living well. About doing well by the relationships you have because you are grateful that you have them. See, gratefulness causes us to do well by what we have. It causes us to be good parents, good children, and good friends, because we are aware we value them. Gratefulness causes us to steward our money well, because we value the gift it represents. Gratefulness causes us to do well by our career for the same reason. And gratefulness is a skill we develop. It is somebody we become. A grateful person. So I know that in order for me to be successful, contentment must be an integral part of my character, of who I become. Contentment becomes a foundation that empowers me, because being grateful for what I currently have, enables me to see the seed of what could be. And then I can plant it because I have become that kind of person. Have you ever stopped to be grateful for what you do have, and honest gratefulness opened your eyes to a better future? To him who has received, more shall be given.